67,72 € 67.72 tax incl. 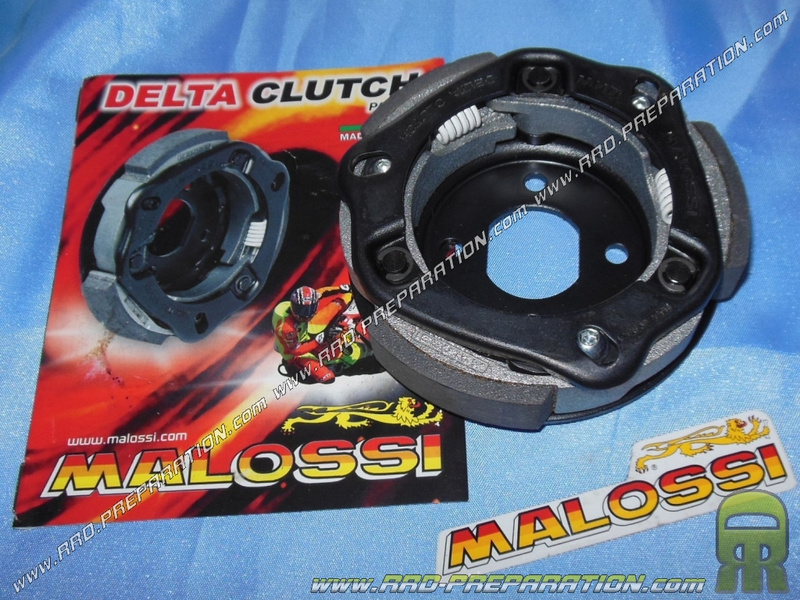 Here is a clutch with a combination of technology and experience from MALOSSI! Widely known in the world of competition, this model has 3 jaws ensure very high reliability and durability. The clutch comes pre-set with the instructions, so you will more than to install it on your scooter. It is equipped with 3 toppings balanced avoiding the slightest vibration when revving it is very strong and allows for extreme grip. 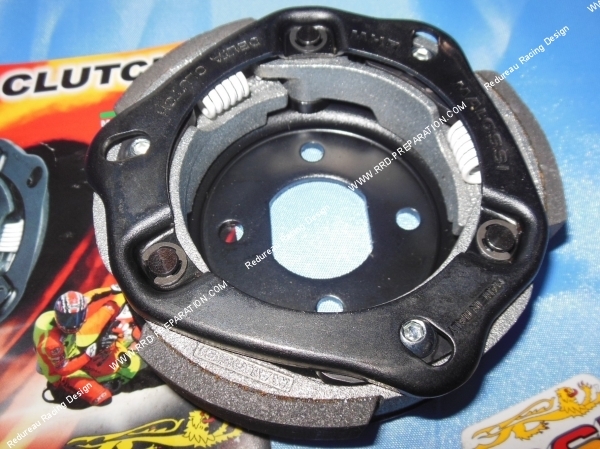 Clearly, this clutch is of very high quality, ultra sound and allow you thanks to its precise adjustments to propel you and get excellent acceleration the engine is powerful and torquey. 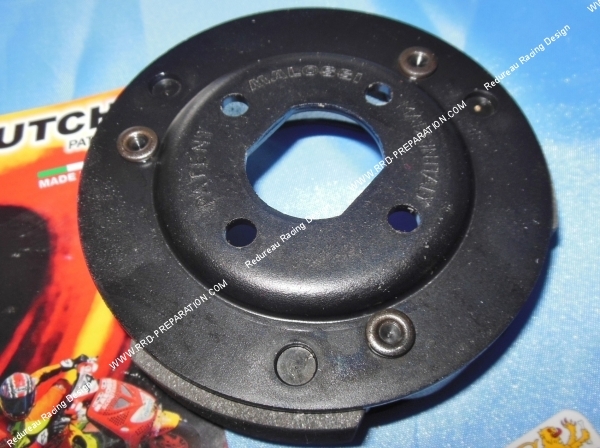 Delta Clutch is an irreplaceable instrument that was born in the racing world. On track it has allowed the Malossi team mechanics to calibrate with great speed and precision automatic clutches of the scooters, depending on the type of circuit and the development of type motor.The perfect operation of the automated is fundamental if we want to have a good standing start and a good output turns hairpin, where the speed of the vehicle decreases considérablement.Les benefits of these clutches compared to the standard ones are huge, even for a scooter for driving on the road, because they allow sophisticated tune on a very wide range of engine revs. Delta Clutch is marketed with a sport tune, along with a series of optional accessories that allow a race setting at the highest levels. 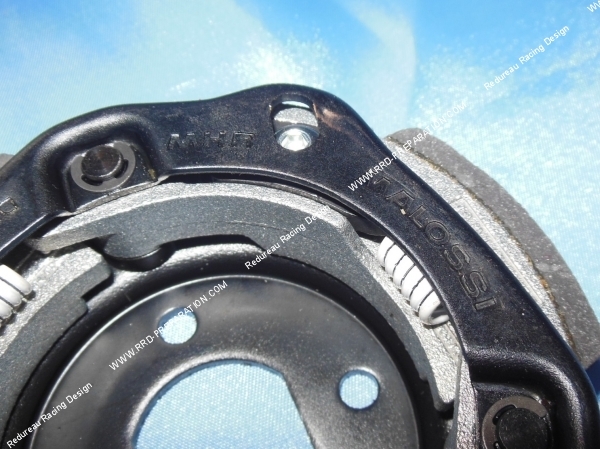 Competition in the road, Delta Clutch is sporting use: these clutch protected by international patents, have been designed by Malossi, who is directly involved in their production, materials choice. After assembly, each clutch assembly is balanced on a special machine, with computerized management, within the limits of the values ​​of 3/10 gram of order. Delta Clutch is supplied assembled and set to a sportivo-road use, with three black pulleys which the wire has a diameter of 1.6 mm. On request, party games two tie rods are provided: for road use, ref. 29, 8746, and for the competition, ref. 29, 8747, that extend and amplify enormously the calibration range of the Delta Clutch.Comme everyone knows, the clutch behavior only affects acceleration, and not speed; this is why there is no problem for these approval dispositifs.Cela even more stimulating in creating other novelties to satisfy our customers.